Well, this is exciting… We’ve only gone and bought a house! It hasn’t quite sunk in yet. It’s probably because we are currently in a grace period and not properly moved yet or maybe I’m trying not to think of the decades of debt I’ve just happily signed into. I have settled at the top of the Peak District. I am officially a homeowning Yorkshireman. What I love most so far is that it’s not somebody else’s place (like I’m so often used to dwelling in). 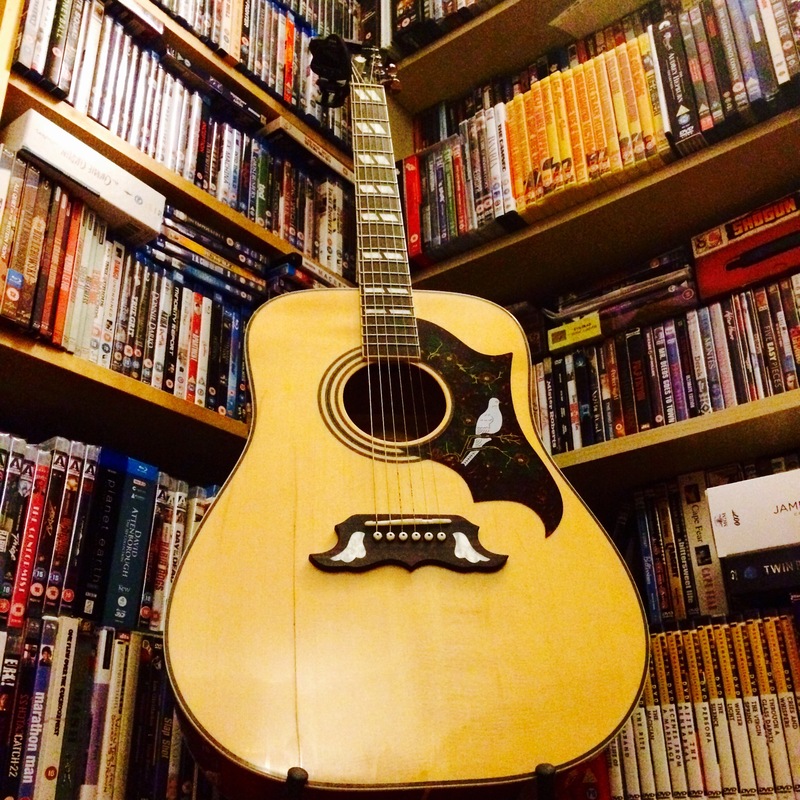 On average, I’ve moved into a new rented house once a year since university and each time I’ve dragged a mammoth music, film, book and guitar collection with me. I’m always one to see the best in wherever I lay my hat but it’s never quite felt worth all the effort when there’s another move on the horizon. While a big part of my soul is nomadic and I love to travel, packing up all these material possessions so frequently has been a drain that I hopefully can do without for a good few years now. Having said that, I’ve still got loads of stuff to pack up and move (including the aforementioned music, film, book and guitars collection). And the cat, can’t forget little Marvin. What I have been doing to the new place instead of actually moving stuff in is doing a few odd jobs with my parents. 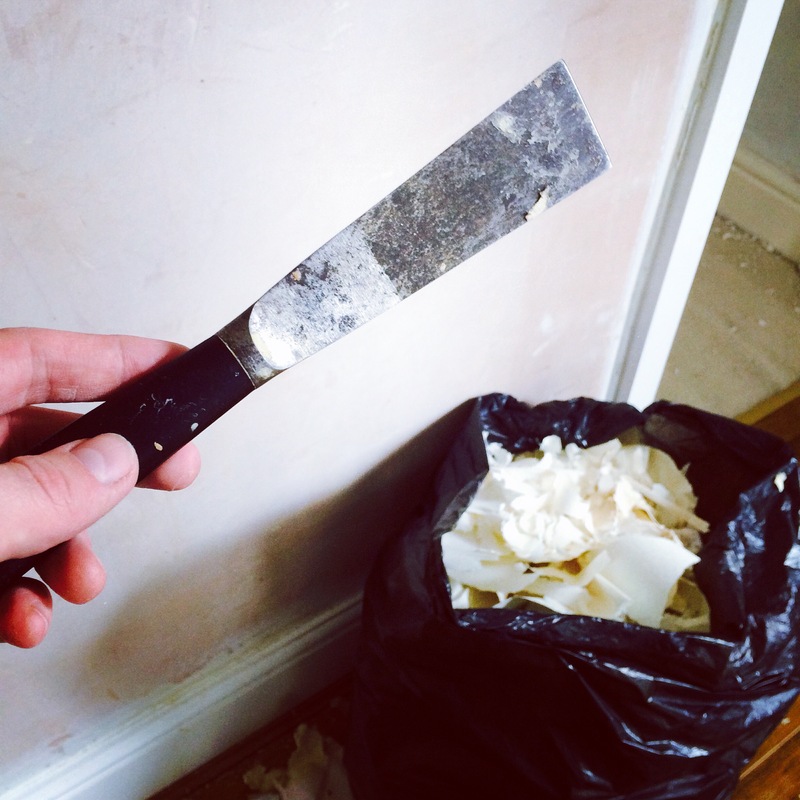 I forgot how much I love stripping wallpaper! It’s so satisfying when you get a massive bit coming off in one go. It’s the little things in life… I love that the place is a blank canvas to write a new chapter of my life on. I can’t wait to get inspired. This will be the house that I actually finish writing something big in!